Our emergency management training is scenario-based and aims to test and improve an organisation's emergency response plans for an off-site incident. The scenarios integrate search, first aid, evacuation, media management, crisis management, contingency planning, comms and emergency response planning and focus on ensuring that company processes and structures are 100% effective. Our clients range from large multinational corporations to individual schools or clubs wishing to ensure that their systems for dealing with a remote incident are absolutely watertight. 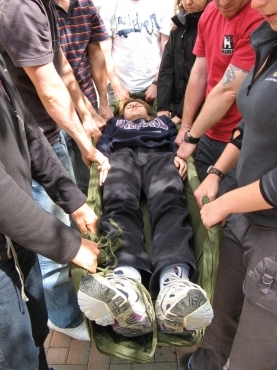 Training is facilitated by our subject experts who have experience of incident management in a wide variety of environments, from deserts to oceams, jungle, high-altitude and polar.